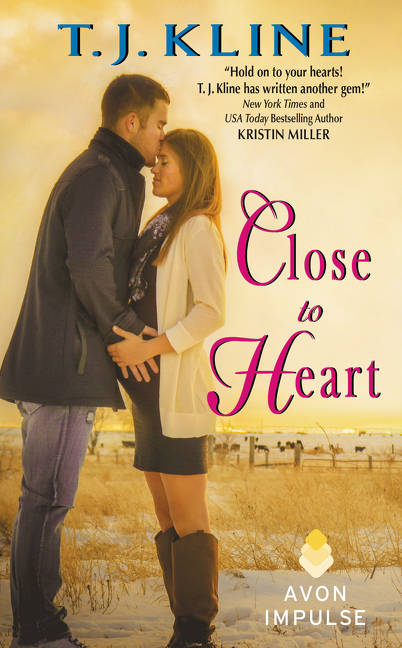 As the only veterinarian in town, Justin Hart doesn't have time to think about romance. So when A-list actress Alyssa Cole crashes her car outside his clinic, it's entirely unexpected when there's a spark between them he can't ignore. Still, she's a movie star, and he's just a small town cowboy. Alyssa has learned the hard way not to believe first impressions, especially not in Hollywood. But, 400 miles from her former life with nowhere to go and no one to turn to, she places her trust in the handsome vet who comes to her rescue. There's no denying the connection between them, but when Alyssa's past shows up at the door, will their new relationship be able to withstand the storm? Alyssa hung up before Franklin could ask any more questions and made her way down the hall to where Justin waited, feeling as if she was carrying too many burdens on her shoulders. Until calling Franklin, she’d been avoiding facing the reality of her situation—her marriage was over and she was on her own. There was no turning back. The only real decision left to make was what she would ask for in the divorce, for her and their child. It was enough to deal with finding out her husband was cheating on her, had been for almost the entirety of their marriage, but to have him cast her and their child aside, to know the apathy he felt for their child, hurt too much to bear. She was tired of keeping secrets, but she wasn’t sure how much she could tell Justin. She didn’t know him, not really. He turned toward her as if waiting for her to say more, his eyes seeking hers, and she imagined she could see empathy in them. If he thought that was heated, he would have been shocked to hear Elijah when he got started about how she didn’t want him to be successful just because she dared to question his decision to sign on to represent yet another new young actress. She suspected, now, he’d wanted to do far more than “represent” them, but she couldn’t prove it. And, after her last confrontation with him, he’d probably throw it in her face just to hurt her. Justin had been kind to her, rescuing her and giving her a place to stay. She knew he didn’t really need her to work in the clinic and was just using it as a way to help her out. He was more tender than Elijah had ever been with her, treating her like a porcelain doll that might break. Just the thought of his kiss made her body hum to life. The mere brush of his lips against hers had set her body aflame, making her want to pull him down onto the bed with her. His touch made her forget the years with Elijah, the emotional turmoil he caused, the pain of his rejection, making her wonder how real her marriage to Elijah had actually been, if there had ever been any passion in it. She slid into the chair at the table and buried her face in her palms, trying to stop the tears from burning her eyes. She realized she’d just told him far more than she’d intended. Her parched heart soaked up his words. After listening to Elijah’s criticisms for so many years, it was like rain on a desert plain. Alyssa couldn’t look away from his hypnotic blue gaze. He saw her, really saw the woman inside. He didn’t see her as a movie star. He looked past that to the hurting woman beneath. His nearness seemed to demolish every protective barrier she’d erected over the past six years. He made her feel wanted and worthy. Alyssa didn’t think about what she was doing as she slid her hands to the nape of his neck, pulling him toward her, their mouths exploring, seeking. Justin’s kiss was tender, far gentler than she wanted him to be. Her fingers dug into the hard muscles of his shoulders and he responded. His hands slid into her hair, while his tongue teased hers, tasting her, his teeth nipping at the corner of her full lips. T. J. Kline was raised competing in rodeos and rodeo queen competitions since the age of 14, She has thorough knowledge of the sport as well as the culture involved. She has had several articles about rodeo published in the past in small periodicals as well as a more recent how-to article for RevWriter. 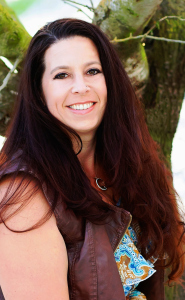 She is also an avid reader and book reviewer for both Tyndale and Multnomah. Thank you for hosting CLOSE TO HEART! !